Honestly, when I took the first bite… I thought, “how can something this easy be so damn good?”. In less than 30 minutes you can whip up these tasty little apple pies that are a perfect last-minute Thanksgiving (or anytime!) dessert. How did I come across this idea? I recently had the honor of contributing a recipe and photograph to my hometown elementary school’s fundraiser cookbook (those are my Cheddar Jalapeno Corn Muffins!). I was skimming through the cookbook when I came across a recipe very similar to this one. Whenever I find a recipe that I want to make, I’ll always look for different variations of the recipe and adapt it to make it my own. 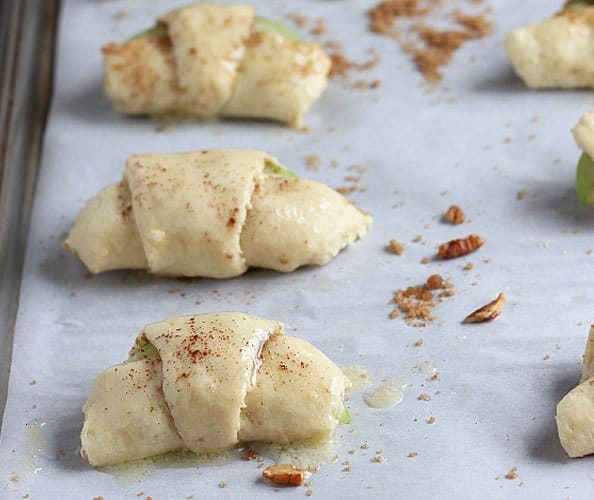 Then spread a few chopped pecans onto each crescent roll. Next, you’ll place an apple slice (that has been dipped in melted butter) on the wide end of each crescent roll. I left the peeling on my apple slices, but you can also peel the apple if you’d like. Then bake for 10-12 minutes, or until golden brown. How easy is that??? 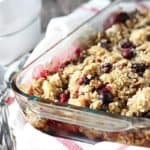 This recipe calls for apple pie spice which can be made easily at home with a mixture of cinnamon, nutmeg and allspice. You can get the easy recipe here! Update: This recipe has been so popular with my friends and family… everyone loves it! My friend Melissa made a shortcut using canned fried apples with cinnamon, drizzled them with caramel when they came out of the oven and topped with vanilla ice cream. I tried this version and it was also DELICIOUS! 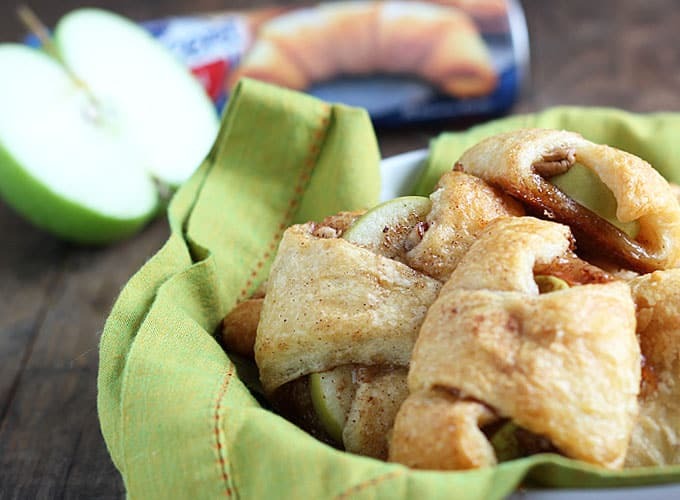 • Apple Pie Bites -Delicious, quick & easy mini apple pies made with Pillsbury crescent rolls in less than 30 minutes! Enjoy apple desserts as much as I do? 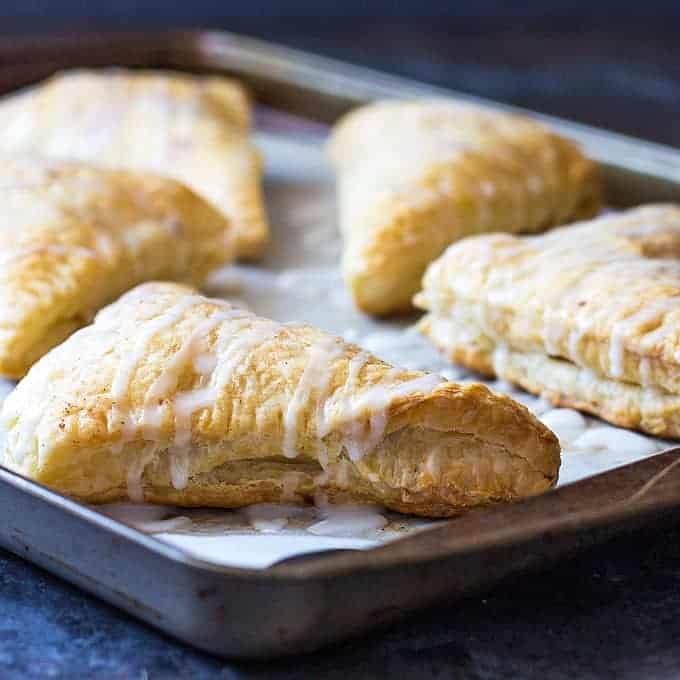 You’ll also love these Easy Apple Turnovers made with puff pastry! Don’t really bake but this is so simple I want to try Apple Bites for our Halloween Party at work. Can I make ahead of time and stop at the point before they go into the oven, then bake the day of the party? Or should I just bake, refrigerate and warm the day of the Party? If I am just rewarming, do I completely cover in aluminum foil and at what temperature? Also do I have to spread a little melted butter on them before rewarming? Also I hope you pet is ok! Thanks so much, Irene! Chance got a bite of one of these and loved it too. 🙂 I hope you enjoy them as much as we did! Could I use Pillsbury gluten free dough to make these? I’m allergic to apples, but can eat pears with no problem. I baked a batch of pears bites as well as apple bites. Everyone loved them!!!!! I was hesitate to use apple pie spice until I found the ingredients are cinnamon, allspice and nutmeg. Sprinkled the top of spice mix with a touch of brown sugar and baked on a cooling rack on a cookie sheet so the bottoms weren’t soggy as some of the comments mentioned for 12 minutes. Then flipped them over and baked another two minutes. Of course, I plated them right-side up. Wonderful aroma when family is waking up… Hope those allergic to apples will try the pear bites. I’ve been waiting 50+ years to enjoy a faux apple pie. No, this recipe is best when cooked immediately. The crescent rolls will dry up in the fridge and the apples will brown and dry as well. Hope you enjoy! I swear, anything rolled up in crescent roll dough is amazing. Love this idea for the holidays! Can these be made with puff pastry vs the brand you’ve suggested? Hi Sherri! I’ve personally never made these with puff pastry so I can’t say. However, I’d give it a try because it sounds delicious! Hi Amy, I live in NZ. We don’t have Pilsbury products over here. I wonder if you would mind telling me if these crescent rolls are similar to a puff pastry? Or are they more like a croissant? How do you think they would go using a puff pastry? What about people who have to eat gluten free. Is there a recipe that can be used to make in lieu of the croissants? I am not the person who posted this recipe. But I am sure you could use puff pastry and follow the baking instructions on the package. I think short crust pastry will work better than puff pastry. I was thinking the very same thing myself…..would imagine they’d be as – if not more delicious – using puff pastry from the supermarket’s refrigerator/freezer section. I am going to try them this way. Have to be delish!!! After reading more comments, I’ve decided to melt a little butter in a skillet, add some cinnamon and the apple slices and cook for about 5 mins. then use in the recipe. I like my apples on the soft side when it comes to apple pie. What kind of apples did you use??? Excellent idea I am going to try that! I also like my apples soft! I will also peel the apples first. Ive made these many times and have three variations. Because I lime my apples on the soft side and to cut down on butter but not taste, I follow the recipe, leaving off the butter, place them in a two inch pan and pour Mountaindew over them until the tops bave all been wet and theres about half an inch standing in pan. I use a 9×12 because we bave seven to feed, so if i’m making for company the recipe is always doubled. I am also a type 1 diabetic, so I have used diet before(my 3rd variation) and nobody noticed until I told them. You can also do the same thing with peaches, using all three choices, except the drink is changed to orange. It may not sound like it but they are great. And yes, for those wondering, diabetics can have sweets. Times have changed, we nust cover the carbs with insulin, and of course not go overboard. As a fellow type 1diabetic, I love your post. I never heard of baking fruit in diet soda pop. I will be trying it as soon as I can get to the store. I loved your comment about diabetics being allowed some sweets. I’ve been well controlled, with no complications for over 20 years. The last thing I care to hear is a nondiabetic telling me what I can eat! They are croissants, BUT I bet puff pastry would be great. I just made these yummy treats tonight and they were awesome!!! The only thing that I would do different, which will take some of the simplicity out of the recipe, is peeling the apple first. The skin of the apple bothered me… It made it somewhat difficult to easily bite through the apple pie without having to aggressively tear the skin to separate your bites, if that makes sense. Just my preference, but other than that, TOTAL AWESOMENESS! Apple pie spice is found on your spice display in the super market. It is a blend of spices. Apple pie spice is simply cinnamon, ground clove, and ground nutmeg…found this reading the label on apple pie spice at the grocery store. For this recipe, I used 1 teaspoon of cinnamon with a dash of nutmeg and clove and it came out wonderful! Would you still need the butter and apple pie spice if using the canned fried apples with cinnamon? You could slice through the peel 2 or 3 times to solve that problem – I like the peels on! Yes I agree, peel apple first.. i also added some cinnamon to the brown sugar mixture.. came out wonderful. 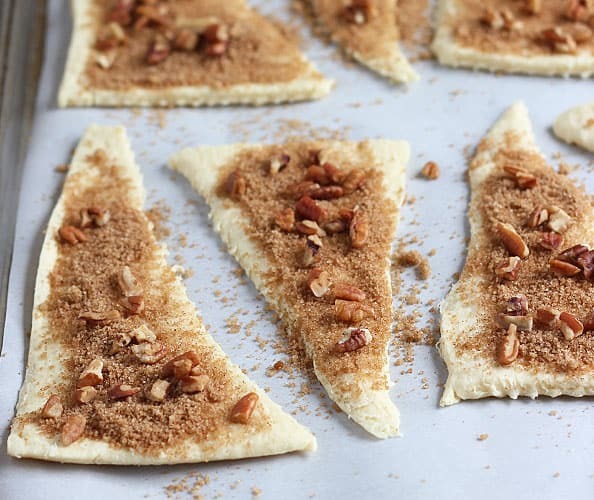 I only had a sheet of Crescents , so cut it in triangles..definitely making these again….Great aroma for the Holidays…. Hi Valerie, so sorry your apples were crisp! I didn’t find that to happen. You can also substitute canned fried apples. I just have to ask…..What are “canned fried apples”? Are they like cooked canned pie filling? What area of the US do you find these…just curious if this is a regional commodity? Thanks for sharing a fun, quick recipe. The fried apples are over by the other canned fruit, not by the pie filling. I’m not sure if it’s a regional thing or not, though. I’m from Texas, so fried apples are a “normal” thing here. They serve them at Cracker Barrel restaurant, too. Maybe next time slice them a less thick. I made these with a can of apple pie filling. Was amazing. Sometimes, I use a little cream cheese for something different. Have also used cherry pie filling. Made these tonight and they were a big hit. The apples were tender and the croissants perfectly browned. Thanks for this recipe. LOVED THE APPLE BITES, WILL TRY THEM THIS WEEK-END. i use powdered sugar when whipping cream, it seems to incorperate bette(no crunchy or hrainy texture), and hold its stiffned better! it may seem like it takes a lot at first, but it’s about a 2:1 ratio compared to granulated sugar..ive had cream whipped with powdered (10x or Confectioners) sugar hold peaks for a few days in the refrigerator. Will do this for a ladies’ game night tonight. It’s a potluck kind of thing, and the house is about 15 minutes away from mine. Do you think I could use that gal’s microwave to warm up? If so, how long – what setting would you guess? OR would they be just fine as is? How would you store these overnight? Room temperature or refrigerate? I refrigerate and heat up in the toaster oven. Hope you enjoy! Did you cook them, refrigerate and then heat up in toaster? If so how long in tiaster? Hi Kimberly, these are always best fresh out of the oven. I’ve never timed them when reheating… please use your best judgement. I hope you enjoy them if you make them! What is apple pie spice? I have made apple pie from scratch- would it be in the food store baking section? I was wondering the same thing. 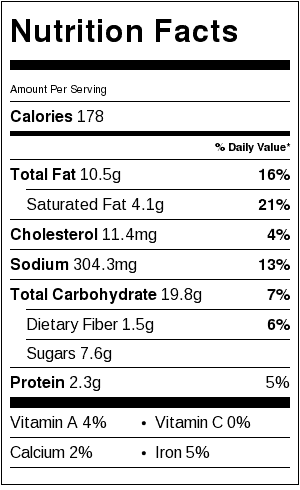 What is apple pie spice? Hi Laura! 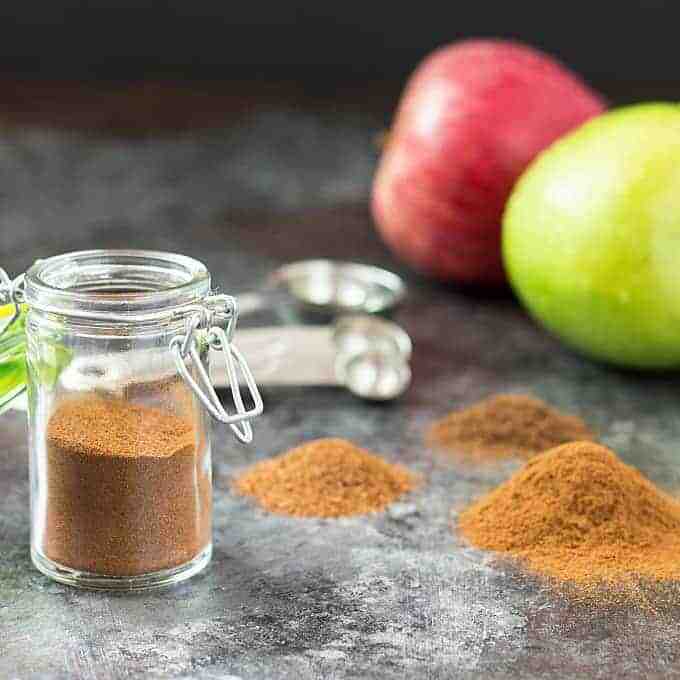 Apple pie spice can be found in the spice aisle… it is a mixture of typical spices used in apple pie such as cinnamon, nutmeg, ginger & allspice. I have never seen Apple Pie Spice in my area. The ingredients you listed sound the same as Pumpkin Pie Spice with grocers here DO carry. I found Apple Pie Spice in the baking aisle at Target. Just took them out of the oven waiting for them to cool, can’t wait, they smell good! Google Apple Pie Spice for recipes to make your own. Much less expensive that buying it at the store. You can also adjust the recipe to suit your taste if you prefer one spice more than another. Enjoy! I googled “Apple Pie Spice” because why buy when it’s so simple. The one ingredient everyone is leaving out is cardamom. Equal parts of all the others. Penzey’s Spice ( https://www.penzeys.com/ ) makes a wonderful Apple Pie Spice. You can order online or find a store near you. The yrun Free Shipping specials quite a bit if you are placing a small order. All their spices are fresh and high quality. Hi Kay! Apple pie spice can be found in the spice aisle. It is a mixture of typical spices used in apple pie such as cinnamon, nutmeg, ginger & allspice. I make my apple pie spice using 4 teaspoons of cinnamon, 2 teaspoons of nutmeg and 1 teaspoon of cardamom. It’s delicious in apple pie, strudel or in these little apple bites. I also sauté peeled apples in butter, bit of this spice and a bit of brown sugar before using them in these apple bites. Delicious! 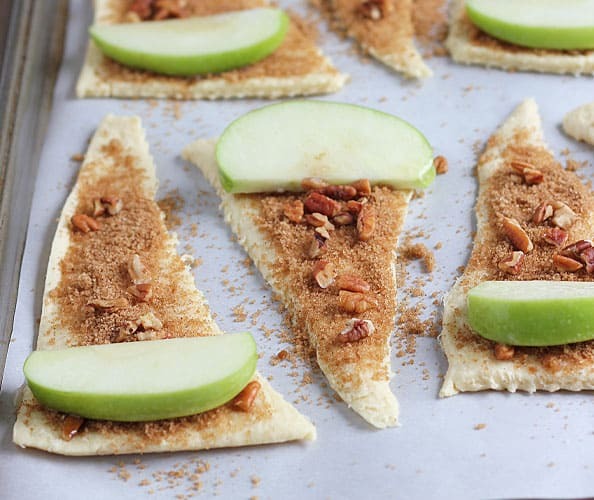 I am going to try this using refrigerated pie crust..And will peel the apples also. Thanks! Could these be prepped up to baking and kept in the refrigerator until ready to bake? These look wonderful!!! Always looking for quick and easy!!! Thanks so much!!! This is brilliant! I love small, cute desserts. Thanks for sharing! Going to try these in the morning. Sound delicious thanks for the recipe! Do you think you could serve these once they have cooled down like cold apple pie? Have to make something for a sweet table for a shower. I’m wondering how these were served cold – can you let me know? Thanks! Hi Emily! I’ve never eaten them cold, if there are any left over I hear them in my toaster oven so I can’t say! these are awesome, so delicious! I was wondering if I could use frozen apples. I have my own apples, I freeze them. Icon’t know why they wouldn’t work sounds like a really tasty recipe. I just made these and they are delicious. I made a slight change to the recipe that I would like to share. I melted 1/4 cup of butter and brushed the rolled out crescent instead of dipping the apple in it. I also mixed together 1/2 cup of sugar, 1/2 tsp of cinnamon and 1/4 tsp of nutmeg instead of the apple pie spice. I generously sprinkled this on the buttered crescent. I found the melted butter held onto the sugar mixture so it didn’t come off when rolling. I then used any remaining butter and sugar mixture for the top of the crescents. I used Granny Smith apples which are pretty firm so I baked the crescents for 12 mins and used a wooden skewer to poke the crescent to test the apple. It was still pretty firm so I covered the crescents with foil and continued baking for another 4 mins. The apples softened and the crescents were a nice shade of brown. Thanks for the tip because i don’t know where to find apple spice. Hi! Apple pie spice can be found with other spices in the grocery store. It is a mixture of typical spices used in apple pie such as cinnamon, nutmeg, ginger & allspice. What is apple pie sauce? I was wondering since you covered the desert with foil I would think they would come out soggy. what a great idea to hold the sugar mixture there. I wonder if we could make them taste like smores. They now have smores marshmallow. I just saw them yesterday. These look totally awesome and I am going to make them. I was wondering if you could use peaches, either fresh or canned? Or for that matter any fruit? Great idea! Be careful about the wet juice….that would ruin them…. An trying these for a girls night in with my sister and our godmother. They look scrumptious! Will post with update once it’s over. This looks totally good and i wonder how it will, i gess delicious.i will give it a try. I believe they are sold in Cracker barrel restaurants. Not sure if they are found anywhere else. They are found with the other canned fruit. I just made these without the pecans. So delicious and so simple. Love, love, love! Thanks for this amazing recipe. I have made these with pears also. Ihave made these with pears also. LOVE THIS!! Looks amazing and so simple to follow. I’m a big apple pie fan so I will definitely have to give this a try!! Would you be interested in working with Chicory and becoming one of our recipe partners? Hope that helps someone else needing to make the conversion…..happy baking! Thank you so much for this recipe, it looks and sound so simple and amazing. My question is have you tried to store these for a day or two?? I am going camping this week and would love to bring these along but I don’t want them all mushy… What do you think? Hi. I am wondering if anyone used more than one apple. I want to put a few in each roll. And I’m making gluten free dough and cutting it in triangles, hopefully that will work too. These are perfect for my ‘Kids Can Cook’ class. We only have one hour from start to finish and that limits our choices. We also need recipes that can easily be made by four year olds and fourteen year olds. I will put this on the list for our next class. Thank you. This recipe looks wonderfully good. The recipe will go with us to the Northwoods of Minnesota for an after fishing treat. 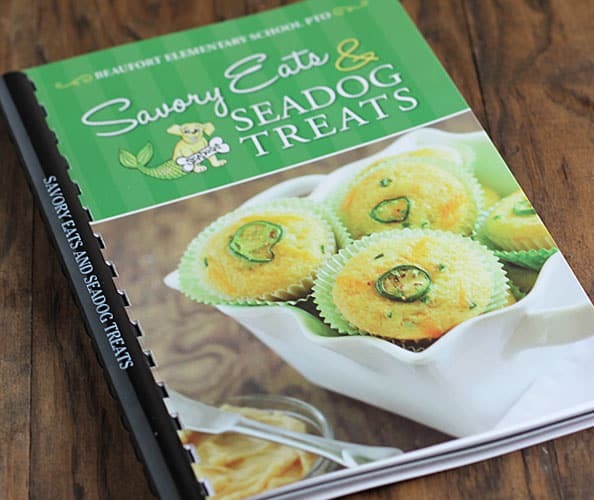 Any chance I could purchase a copy of “Savory Eats and Seadog Treats”? My brother and his wife live on Fripp Island, and being relative new comers I think they would enjoy this book. Is it possible to make these but before you put it in the oven to put them in the frigde? Would that ruin it it or would it be alright? I want to try this with peaches, any suggestions? OK, these look great for a single person like me. I think I will also pre-cook the apples just a little to soften them, and then drizzle with a little powder-sugar glaze! Oops….mouth water just leaked out! Just had a second thought…..maybe precook some peach slices??????? Can somebody post an apple pie spice substitute? Could also be made with puff paste, no? 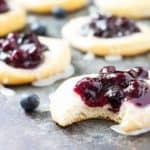 I have made these with pie crust with a dab of cream cheese mixed with a little powdered sugar and they are to die for , but this sounds easier with the cressent rolls but I will still use the cream cheese mixture also. Thank you for sharing. Was planning on making quite a lot and was wondering if I could use canned apple pie filling instead? I made these last Saturday. SO GOOD! Excellent recipe. Thank you for sharing. i’ve made apple gallettes, which are larger versions of these, and I FREEZE them for longer storage, thaw, and reheat for a short time in the oven…..comes out fresh-baked good! Do you freeze the after baking or before? I am going to try these tonight but I think I’m going to try it with peaches instead. I’ll let you know how it goes! Tried it with peaches and it was AMAZING. I followed the recipe just substituted peaches for apples and did 3/4 tsp cinnamon and 1/4 tsp nutmeg. Other than that exactly as you describe. Thanks so much for posting this recipe!!! These are perfect for a ‘Kids In The Kitchen’ project. I plan to make these lovely looking treats at our local Family Success Center this Saturday. Thank you. These look amazing and so easy! I am horrible at making pie crusts! Would love to purchase that little cookbook. These are the best! Our schools here need to make and sell them! For those of us not living In the US – what are Pillsbury crescents? We don’t have it here in South Africa. I gather a type of pastry – but which one. What could I substitute it with ? Any home made recipe anyone can recommend? Flaky pastry or puff pastry or short crust pastry? Our brands are different so it’s tough to know what the best substitute is. Home made might be the best option. Could I prep these and put in oven later? I have a thing with family coming up and I figured get them all set up at home and pop them in later at my brothers house when we’re ready to have some! would love to order the cookbook, also. recipes sound great. I would love to purchase a cookbook if one is still available!! Can you email me information? I too would like cookbook, love school cookbooks. Just saw this today sent by a friend, Thank U for posting, my husband loves sweets & I love to make special sweet snacks for him. I made these tonight for breakfast tomorrow, how do I store them tonight so they won’t be soggy in the morning? I used canned apple pie filling and some have cream cheese. This is basically just apple rugelach, right? I absolutely LOVED these and I’m not a huge crescent roll fan. So easy, came out delicious. For those of you questioning apple pie spice, you can always just use cinnamon. That’s what I used and my family loved them. I also used Granny Smith apples and peeled them. I ended up slicing them in thinner slices so they would cook through quicker and they were perfect after 14 minutes. Mustbe delicious and easy, what a combo cannot wait to make it for my husband, he loves crescent rolls. Thank you for sharing. Have you any ideas in a replacement for the nuts? I have a child allergic to all nuts, so need to have a substitute! Why not just omit them? Cheryl,I don’t use nuts in the apple pie bites. Put a little white sugar and cinnamon , then apple slices. Sorry if this wasn’t what you were asking me. I’m going to leave the nuts out too, but crushed pretzels would be a decent replacement for the crunch I think? Hi Riane! Please let me know how that turns out for you! Would like a copy of the cookbook too. can these be made ahead and served cold? we have potluck meals at work that this would be great for! I noticed someone substituted pears! I may try ASIAN PEARS, since apples & regular pears are sparse this year from the drought! Making my Apple bites right now..!!!!!! Because spices are so expensive I try to buy mine at the local public food co-op. You can buy the amount you want and fill your own jars. Also, you can buy a small amount and try new spices. I only pay a small fraction of what I would pay in the big stores. Also if you buy a little bit at a time it willl be fresher when you use it. We don’t have to join to use the one near us, we just pay a few cents more. I would like to know if it is possible to get this recipe book, and if so how do I go about getting one and cost. I can’t wait to make these! I am wondering about making these ahead, also. I didn’t see an answer. I would need to make them in the morning and then bake them that evening. Has anyone tried making them ahead? Just made these this morning. My family looked at me like I am a god. They just loved it. I added connon to the brown sugar and had to use pumpkin pie spice instead of Apple but they just raved. My daughter said it was better than the pancake restairants Apple pancake Thank you so much for a great recipe. Especially for a chilly September Sunday morning. These were awesome. I didn’t use parchment paper. Covered pan with non stick cooking spray. They came out great. Next time I may nuke the apple a few seconds first to soften. Will make again. Great recipe to make with my granddaughters. Should these be refrigerated or kept at room temp? Hi Brenda, I’ve always refrigerated mine once they cool (if there are any leftovers!). What is “apple pie spice”? Is it just cinnamon and sugar? I went to the store and I couldn’t find any of that so I bought cinnamon. But it there anything extra I should be adding to that? The only thing I saw “close” to apple pie spice was pumpkin pie spice. Yes just wondering if you can use any kind of apple? Not a fan of Granny Smith. Hi Cheryl! I’ve only used Granny Smith so I cannot say. Good luck, hope they turn out well if you use another type of apple! 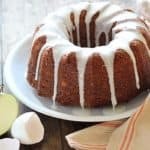 Does using the canned apples replace the cinnamon/apple pie spice mixture that you coat on the dough as well or just the apples? Thank you! Excited to try! It depends on if the canned apples are already seasoned with spices and your personal preference! I love this recipe, it’s so easy to make and it tastes amazing, the only thing is i tried baking them for 10 minutes (375degrees) and they looked golden brown and cooked through, but when we tried it the middle was still raw… Any ideas why? I think a ‘touch’ of salt on top before baking would be good also! Then you would have that little sweet/salty thing going on! Can’t wait to try this – sounds really good! I will use a Rome apple vice Granny Smith. Not a fan of the Granny. Also, I’d like a copy of the fundraising cookbook as well, if still available. Thank you! Hi Peyton, They’ve always gotten eaten up when I make them so I’ve never frozen them (so I can’t say!). Let me know how it turns out if you do! It helps to microwave the apple slices to partially cook them before assembling the roles. Try 1.5 to 2 minutes depending on your microwave. These look so good – I can’t wait to make them for our annual Christmas party! I’ll be featuring this recipe on my blog in an apple-themed roundup tomorrow! What is the nutrition information on these? Are they low calorie? Hi Daniel, I don’t provide nutritional information. It would be safe to say that these are not low calorie. I would suggest utilizing an online calorie counter. Hope you enjoy them if you make them! Sounds great but will have to substitute pecans since my daughter is allergic. Unfortunately to walnuts too. Maybe I’ll try almonds. These were delicious and sooo easy. I waited until they cooled and drizzled them caramel ice cream topping. Yummy. Great recipe-thank you!! Hi, my name is Morgan and I’m a high school student that writes for our school magazine. I’m doing a page on fall recipes and would love to feature your recipe and picture, with of course your consent! Just let me know, thank you, Morgan. Hi Morgan! I would love to be included in your fall recipes in your school magazine. Thanks so much! It’s Morgan, thank you so much! So that I can have a better quality picture, do you mind emailing me a picture of your apple pie bites? Hi Morgan, please email me at amy@theblondcook.com with specifics on what you need for the image. Thanks! Delicious! I didn’t have parchment paper and baked them on a Pampered Chef stone for a few minutes more than recipe called for. Also did not have apple pie spice so I subbed with ground cinnamon. Sprinkled some more cinnamon and leftover “pecan dust” on top prior to baking. Served warm in a dish with vanilla ice cream. Was a huge hit and I will make again! Thanks, Tara! Glad you enjoyed them! I’ve reheated them in my toaster oven but they’re best right out of the oven. Hope you enjoy! What spices make up apple pie spice? Any thoughts about prepping these a day ahead and baking the next day? I’m having a party and trying to do as much ahead of time as possible. I’m worried about the apples getting brown or just kinda nasty but then thought if I tried softening them in a skillet with butter (as others mentioned doing) then maybe it would work out? Hi Katey, I’ve never prepared these in advance so I can’t say. I think they would be best prepared right before you bake them. Good luck and happy new year! Made these for lunch today with a peanut butter/jelly sandwich…awesome! I used my apple slicer and peeled the apple…yes, just one Granny Smith apple and it sliced 8 slices. 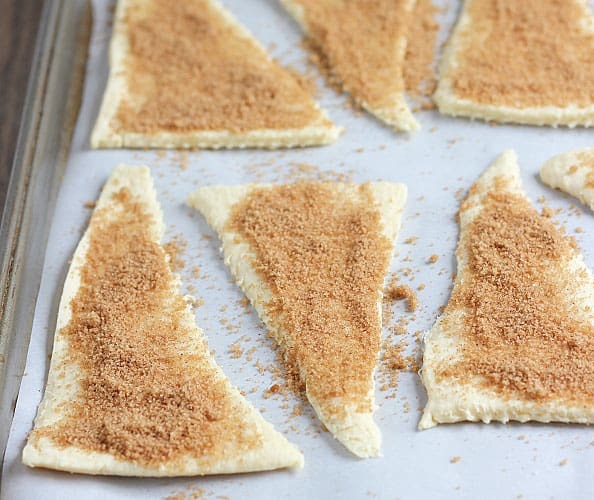 I did not slice them smaller and they were perfectly baked and easy to roll up in the crescent slices. I did not have apple pie spice but substituted 1/2 tsp. cinnamon; 1/8 tsp. ground nutmeg and 1/8 tsp. ground allspice. Very yummy…thanks for sharing! I immediately sent it to my grandson Josh who loves to cook and bake for an after school snack! Thanks, Judie! I’m so glad you enjoyed them. They’re so easy and delicious! We love a treat the does double duty – breakfast and snack time here we come! Thanks for sharing! Thanks so much, Trina and Tina! I love this recipe! 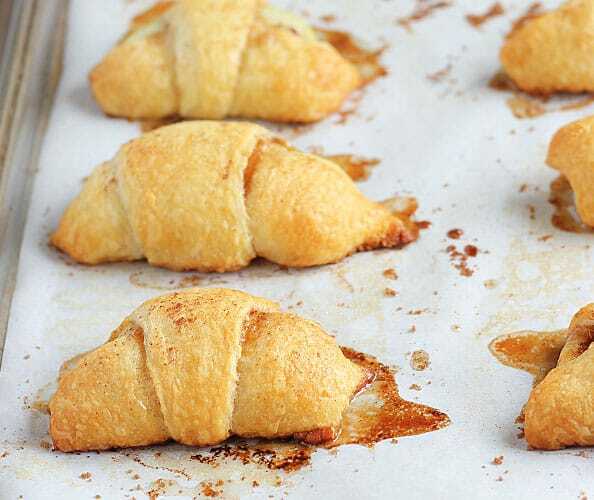 I try this recipe with honey butter crescent rolls. SO GOOD. I’m gonna make this and use it to dip in vanilla ice cream! Mmmmmmmm!! 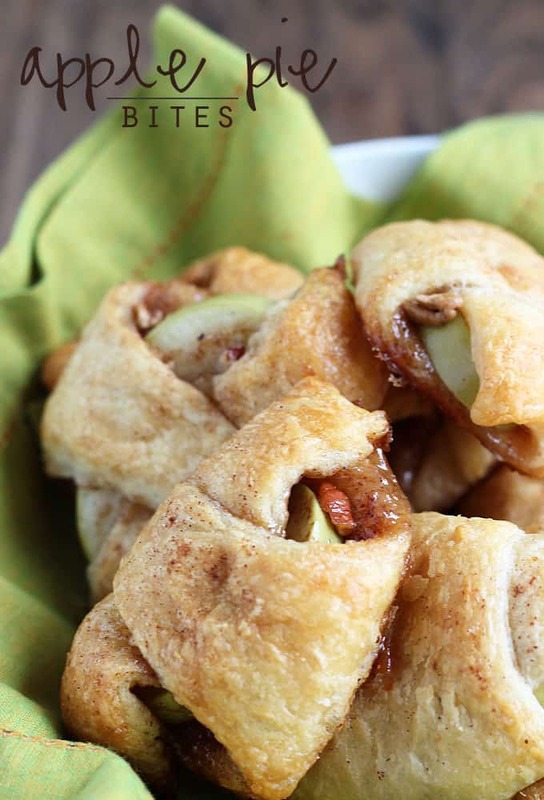 Used crescent rolls, reduced fat and sugar-free canned apples. Added chopped walnuts, cinnamon and brushed with spray margarine and sprinkled a little cinnamon-sugar. The family loved them!! We topped them with fat-free Cool Whip. YUMMY!!!! Is there a good substitute for the butter if you’re going dairy free? Hi Ashley, I’ve seen the olive oil spreads but have never tried them. Let me know how it turns out if you make them! I do this a tad differently..instead of sprinkling brown sugar and apple pie spice on the rolls and dipping the apple slices in butter, I just mix the butter, brown sugar, and cinnamon (who has time to make apple pie spice?!) together in a little bowl, then spread some of the mixture onto each roll! I find that pretty easy and they still come out very delicious! Hi Aimee! I have never prepped the day before so I don’t know. I think that the crescent rolls would be much better fresh out of the package, though. Hope you enjoy them if you make them! Made these this afternoon — my 3 grandchildren and I gobbled them up. Next time, I might cut the apples into smaller slices. I would like the apples a little softer, but my granddaughter liked her apples crunchy. The flavor was wonderful. Thanks for the recipe! I want to make these right now, but I have canned apples only. Would I drain them or what?? Please help! You can use canned apples. It would depend on how much fluid is in the can. I would drain them to be safe. Hey Amy, I finally got to try the apple pie bites! They were so delicious and easy to prepare!!! Thanks so much for your reply to my question too, you are awesome!!! At the moment I don’t have pecans ,can I use sliced almonds .Or is it better to use the pecans because it’s sweet. Hi Tisha, I’d personally prefer pecans over almonds, but think almonds would be good as well. I’ve never prepared them with almonds so I can’t say for sure. Hi Amy,I just tried the apple bites and I must say its so delicious and can be done in 5 minutes.Thanks to you ,that will be one of my desserts on special occasions.Can’t wait for to do more of your recipes. Thanks so much, Tisha. So glad you enjoyed them! Hi I wanted to know if you can prepare it and stick it in to the freezer and when I want serve I can cook it? I made these for a group, so I made double. I don’t recommend this because the middle bites undercooked. The picture you show has less than one eighth of an apple, I tried to use that size, and not 1/8. The middle ones were still crunchy, so I thought even that was too big, but the outer ones cooked through. 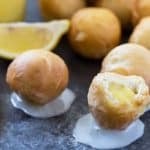 These were yummy and my husband wants me to make them again! I feel like any type of nuts would be great in these bites! Awesome recipe, this looks so delicious!! Cookbooks are great school fundraisers. Just takes a little work and some willing volunteers. I have made these and I put a small dab of cream cheese on top of the apple, and it’s like an apple cheesecake!! Thanks again for the reminder to make these!! That is a great idea, Caroll… sounds amazing!!! 🙂 Thank you! Hi I just got everything I need to make these apple pie bites! I do have a question though, shouls I boil the apple first so it won’t be hard or will it be ok to just put in as said? My hubby loves apple pie but the apples can’t be crunchy! Thank you for this recipe I love it and I will let you know how it came out! I am thinking of making these for a boat ride. I’m sure they are best when warm but are they still yummy when cold? These look absolutely delicious! And pretty easy 🙂 Can’t wait to try them. Recipes like these will never grow old. Even though i’m late to try out this scrumptious creation, i’m glad I was able to come across it. Thanks for sharing. Thanks to Pinterest I found this yummy! Can’t wait to try! 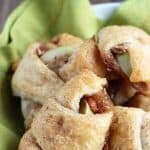 My hubby loves Granny Smith so they are always around for this recipe, just pick up the Pillsbury Crescent Rolls. Glad I found this tonight our temps finally gave use some Fall like weather perfect for this treat! I am teaching my 12year old grandson how to cook, and we started with these! Everyone loved them, but we did cut down on sugar, and used no butter on the inside! And just cinnamon since we had no apple pie spice! We are also using fresh peaches with a pinch of cloves! Yum! Thank you! These are delicious, Thought the apple skin made it a little tough, will peel next time. My second batch I made with a pear. To die for!!! The real kicker, serve warm topped with vanilla ice cream and drizzled with caramel syrup….omg!!! This is my man’s favorite dessert! Thanks for sharing! How far ahead of time can make them? LOVE, LOVE, LOVE this recipe. So quick and easy. Thanks for sharing.